Your loan portfolio is your most important asset and you need to protect it with a sound Loan Review Program. Based on generally accepted accounting principles, LoanGrader™ is the data engine and smart-data warehouse that drives internal control over loan review, including ASC 310 and 450 compliance. 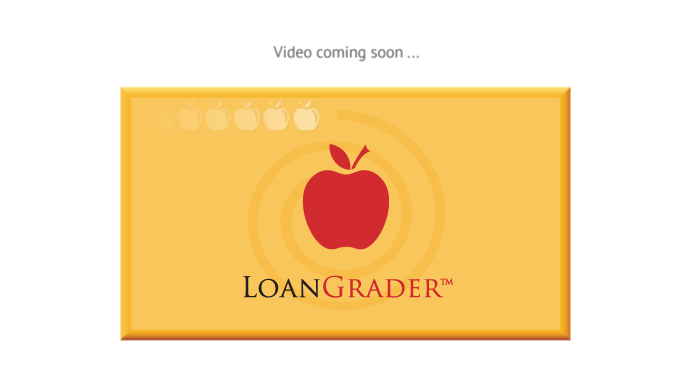 Using LoanGrader as an integral component of your overall program, you can apply a consistent set of standards to each and every loan in your portfolio. LoanGrader reviews 100% of your loans against a comprehensive set of objective and consistent review criteria that dynamically change and adjust over time. As a result, your loan review process is demonstrably consistent and objective. LoanGrader eliminates guesses and assumptions during “pool” analysis. It also provides complete documentation and substantiation for pool factors, supported by actual review history. Fewer items “slip through the cracks.” Your ALLL calculation is accurate and verifiable at the loan level.